Time may change and fashions may come and go, but one thing remains absolutely certain - nothing comes close to the sense of pride that comes from wearing a kilt. The classic tartan collection is perfect for the true traditionalists. These timeless tartans have remained unchanged throughout the years and can be worn with either the smart Prince Charlie or the more modern Tweeds/Argyll jackets. Match your kilt to one of over 40 shades of neckwear and choice of sporran. All of our tartans are available in childrens sizes too. Our range of contemporary tartans give an added edge to the classic highland outfit. 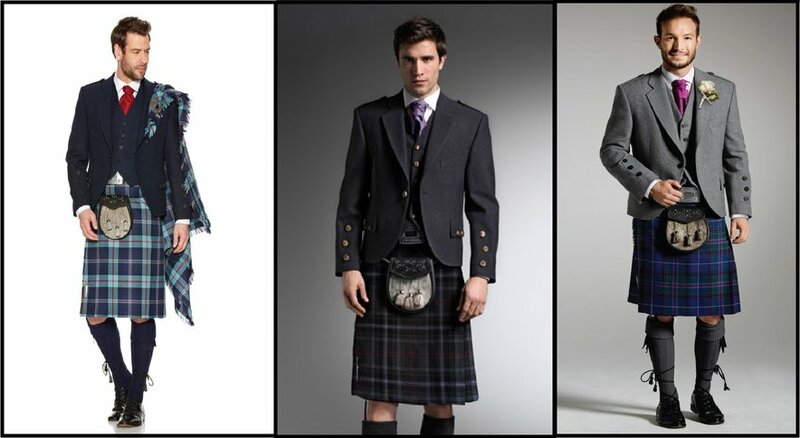 These versatile tartans can be worn with your choice of jacket to create different looks.